South of the border, down Mexico way, there is a rural region, actually a state, known as Saltillo. There is also a town of that name. Sprawled across the sparsely vegetated plains of northern Mexico, Saltillo wouldn’t have a lot going for it if it weren’t for the huge deposits of natural clay that dominate the countryside. Everyone who is anyone in Saltillo makes clay floor tiles from the abundance of raw material that is at hand. Wood drying racks are strewn across yards, front and back, which are connected by well-worn paths to nearby clay pits. Every man, woman and child, it seems, is engaged in this most prodigious of “cottage” industries. 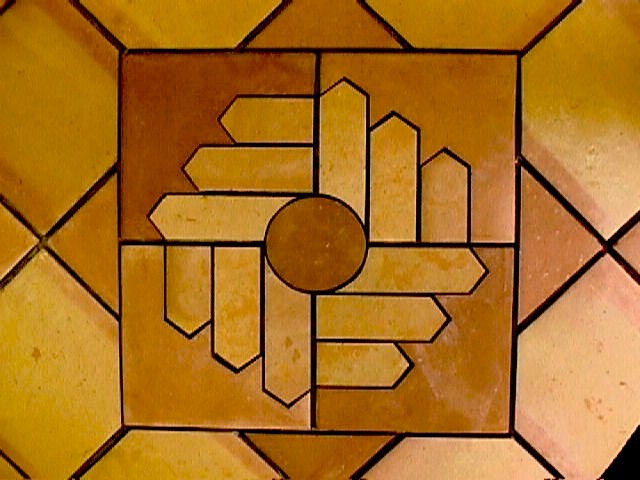 Unlike most other floor tiles, Saltillo tiles are not baked in a high-temperature kiln. They are, rather, air dried in the sun and semi-cooked in the pits left by the quarrying of clay, or they are cooked in makeshift “beehive” kilns. The tiles are, therefore, extremely soft and crumble easily. They are not tough at all, but they are extremely cheap to buy. Saltillo tiles impart a rustic look that no other material can match. People who like Saltillo tiles love them, and those who don’t, hate them. There doesn’t seem to be much middle ground. In my neck of the woods, the states bordering on Mexico, Saltillo tiles have been common for years. You’ll see them in homes, restaurants, on patios – almost anywhere. They have also made their way up north during the past couple of decades. 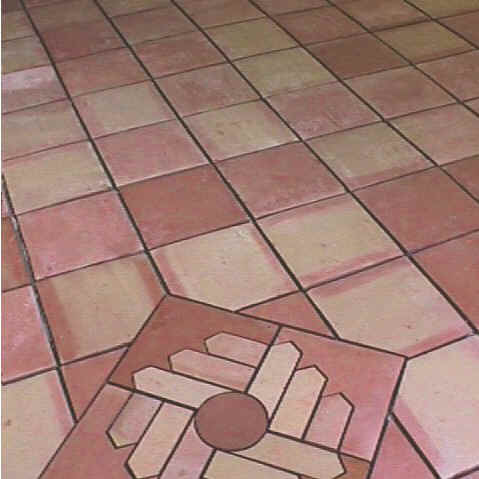 If you live in “Yankee Land,” however, you should not use Saltillo tiles outdoors, as they are not naturally frost-proof. Although Saltillo tiles are inexpensive to buy, an installation might end up costing you more than one using ceramic tiles due to increased labor costs. 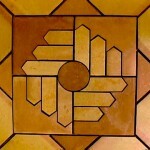 Saltillo tiles cannot be cut on regular tile cutting boards, for example, and must be cut using a diamond wet saw. This adds a great deal of time to an installation. Also, grouting Saltillo tiles takes about twice as long as grouting ceramic floor tiles. Saltillo tile floors must be sealed with a penetrating tile sealer, and usually a top finish is applied to act as a sort of glaze. The tiles must dry a minimum of three weeks after installation before the sealer is applied. It usually takes at least two applications to completely saturate the tiles. The sealer is applied with a paint roller. A brush is used at the edges. Eventually, this finish will wear off in areas of traffic and will have to be replaced. The floor will be chemically stripped of the old finish before the new coating is applied. It is best to have this done by professionals. inlay consumed several hours of my time, as well my helper’s. I did the designing. He did the cutting.